This game is very easy to operate but is challenging to win. 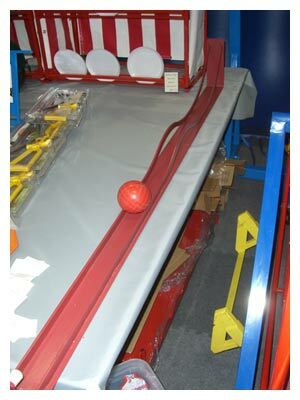 The player rolls the smaller bowling ball down the tracks and over the hump. The goal is to roll the ball with just the right amount of power to keep the ball from rolling back over the hump back to you.